Ballard’s ongoing drive to improve fuel cell technologies keeps us at the forefront of innovation in our industry. To give you a glimpse into what our process looks like, we wanted to share a recent conversation we had with our technical director, Peter Bach. 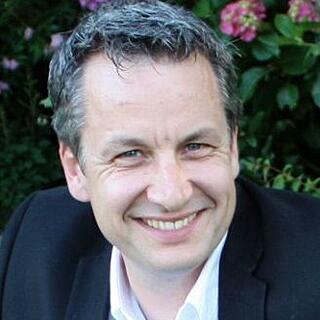 Mr. Bach has been with Ballard since 1996, and is now the company’s principal engineer and stack architect. Continuous improvements in fuel cell stack and system design are key to commercializing fuel cell technology. Let’s talk about some of these improvements, where the technology is at today, and which key developments Ballard will continue to drive into the future. What really attracted me to Ballard is that, when I was at the University of Victoria in 1994, the company brought in one of their very early fuel cell buses and let students poke around, look at it, and ask questions. And that really inspired me to want to work for Ballard going forward. My passion for fuel cells and technology, as well as having the ability to positively contribute to the environment, has brought me into the fuel cell space. I’ve been at Ballard for almost 22 years - I started right at the bottom level, as a co-op student doing testing. Pretty soon I became the stack architect for our first bus project, our first large deployment of buses - which was our P5 project in Europe. I’ve worked directly and indirectly with a lot of the world’s automotive developers - creating the stack architecture, and leading both the technical development and requirements negotiation with the customers. Could you briefly describe Ballard’s approach to product design? What tradeoffs must be considered when designing a fuel cell system? On my side, it’s establishing the product scope. For example, are we supplying just the stack? Or are we supplying the fuel cell system? The trade off I look at as an architect is really, how do we get the product to a cost that is reasonable? And that really ties into the initial product cost and then the total cost of ownership for the customer. How does it look for durability, warranty, service, and fuel consumption over time? For bus applications, efficiency comes into that total cost of ownership where we look at the cost of hydrogen over the product’s lifetime. So a key consideration we’ll make when building a product is looking at what the product’s attributes are at the end of its life cycle rather than at the beginning. I think that’s one area that really sets us apart from our competitors. The product size and power density are really important. In some cases we have to make it very small in order to fit within an existing vehicle package. We look at the ease of maintenance and ease of manufacturing. We also don’t want to re-engineer every part for every product that we make, so we try to build into every component, whether it’s a fuel cell stack or a fuel cell system, the idea of scalability: how can we apply this same technology as a puzzle piece to more than just one product? To take into account all these different factors, Ballard employs a very diverse team with a broad range of skills and experience. That includes scientists that look at the physics and electrochemistry right at the catalyst layers. It also includes material engineers, fluid mechanics, experts in thermodynamics, and experts in cost. We also consider cost modelling, recyclability, and reliability modelling. Could you tell us a bit more about technical risk? A good example of technology risk would be weighing, say, catalyst loading, which is one of the main costs associated with the PEM fuel cell. At the beginning of life, we can create a stack with very low catalyst loadings. That would drive the very low initial product costs. But really with respect to that variable, if we go too far, the stack performance may degrade too much over a long lifetime, say 25,000 hours. So we really need to understand just how far to push the technology in a given product range. What design choices has Ballard made with the FCveloCity® module that set it apart from competitors products? Ballard’s FCveloCity products are really geared towards high usage applications, like buses, trucks, and material handling. In these applications, batteries either take a long time to charge or can’t meet the durability requirements. So we see a large market opportunity to focus on that market. What sets FCveloCity products apart from other fuel cell competitors is really durability, product costs, and range of operations. In terms of durability, we have more than 35 years of real world operation and 12 million cumulative kilometers of bus operation. No one else in the world has that on-the-road experience. We have buses in London that have been running for over a decade, with the original fuel cell stack operating for more than 27,000 hours. The heavy duty market is a bit different than a car market. We need to see 25,000+ hours worth of operation over the lifetime, as opposed to a car which might need 4,000 or 5,000 hours worth of operation. Some of our competitors are taking automotive stacks and applying them in heavy usage applications like buses, trucks, and material handling. But we’ve learned that you really need to build design robustness into the front end of products rather than take a product that’s been designed for lower use, and then use it in the bus application. Another element with respect to our competitive advantage is the range of operations. 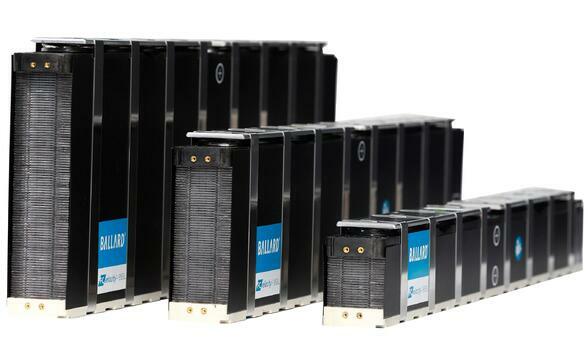 Ballard’s stacks are designed to work in real world environments, where it can be very cold outside. For example, we had buses operating for tens of thousands of hours in Whistler, where it was routinely -20°C outside. We also have buses running in much hotter climates as well, and we see the limitations of those environments. Altitude provides yet another limitation. So from our point of view there is a really big difference between proving something in the lab and running it the real world. We focus on getting the real world stressors understood and built into the product, so that we make a long lived product that is reliable and robust, and works in a variety of climates. As the technology is being more widely adopted, what market demands are shaping the future for fuel cells in motive applications? What we’re seeing is that the shortcomings of pure battery solutions are becoming more apparent. On really cold and hot days battery charge capacity falls off dramatically. At the same time vehicle power demand goes up because of increased heating and cooling loads. These effects combine and heavily impact range. We also see issues around charging infrastructure. Battery EV’s with overnight charging need to be plugged in for hours a day, and you need parking spaces and chargers for each one. Each one these battery EV’s also puts a burden on the local electrical grid. So sometimes, even though the battery EV might have all the charging infrastructure needed, the local grid supplying the electricity doesn’t have the capacity to charge them all at once. If we talk about fast charging, where the batteries are charged in 30-40 minutes, it puts even more demand on the grid, in addition to battery lifetime being significantly reduced. What’s becoming clear in the heavy duty applications that we look at is, we’re seeing a lot more demand for fuel cells as range extenders. Up to now, battery electric vehicles and fuel cell electric vehicles have been seen as a competing technology. But more and more, for heavy duty applications, we see that range extenders are becoming attractive. When the fuel cell system is used as a range extender, the battery takes most of the dynamic power, but the fuel cells keep batteries in ideal state of charge. This not only prolongs the life of the battery, but also dramatically reduces its size overall. At the same time, the fuel cells can also be shrunk, but they really only need to provide the average power in a usage cycle, not the peak demand power. 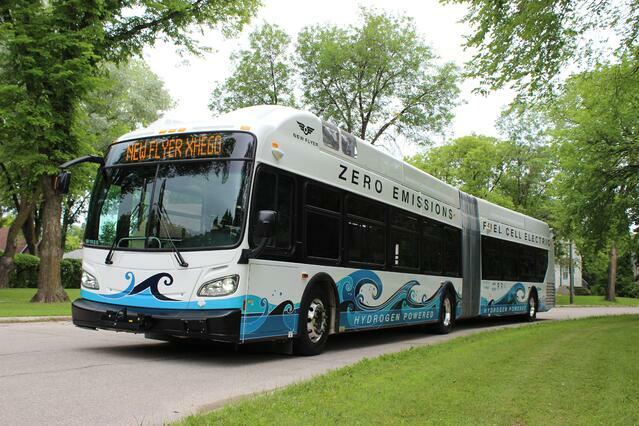 So both technologies, when put together, as in a fuel cell electric bus, actually work better than the individual technologies by themselves. The fuel cell range extender solution can be refueled in as little as 3 minutes, provide better range, and avoids long charging times and grid infrastructure limitations - often with lower total infrastructure costs. You have been working with Ballard since 1996 and over that time you have seen the product mature. What are the next developments we should expect to see from Ballard? Recently, Ballard has been working on new products that really push the limits on power density. I can say that the fuel cell stacks we are running in our labs today have better power density than anything that’s been externally published so far, from any company. One final element is the operating temperature. Currently, in our advanced products, we allow a capability of 95°C. But now we are pushing toward 105 and 110 operating degree temperatures. The objective there is to make sure that we can still provide all of the same power in the same form, fit, and function as a normal diesel or internal combustion engine car. In many motive applications, there really isn’t that much space available for radiators in the frontal area of the vehicle. A good example of that would be cars and highway trucks, where there is really only so much space in which we can reject the heat. So if we need to deliver the same amount of power and we need to deliver it in the same space, and we need to deliver it with the same radiator, it really pushes us towards operating at the higher temperature overall. As hydrogen fuel cell design continues to advance, Ballard will be right at the leading edge. We are committed to commercializing the technology, and making it more available to more cities around the globe. The clean energy revolution is happening quickly - we’re honoured to contribute our technical expertise to create a better world.